The Original Metro Shed was designed to be the perfect fit for small spaces outside your urban or suburban home. 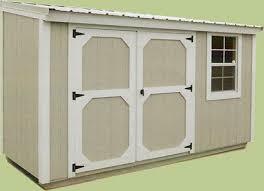 Our innovative design allows this handy storage building to be placed right against an exterior wall or a fence. There are literally thousands of ways to use a Metro Shed… how will you use yours?